A punch in the mouth. A bloody lip. At least that’s what George Bailey got. Isn’t this why we don’t pray too? Why do it? What good is it going to do? God’s going to do what he (or she) wants anyway. And when we do get our courage up to pray, our mind fills with thoughts of not wanting to get our expectations up or we are already bracing ourselves to be let down. Maybe we are expecting to get sucker punched. Prayer moves us into vulnerability. And who likes vulnerability? For my church I organized an organized effort to pray for the many teachers in our church family. This started at the beginning of the school year. So far our teachers are having terrible years. Even our veteran teachers who don’t get rattled. This is what I get for praying?!?! We obviously stirred up the battle in the heavenlies but I didn’t mean to invite such drama for our beloved teachers. This was not my intention! I feel like I wish I never started this organized prayer so that my teachers could continue in the status quo–even though my heart filled with faith desires more than status quo for the teachers, their students, and our education system. I desire our supernatural God to grant more than the status quo for those who believe! Isn’t that what our Bible promises? My desire seems to have sucker punched the teachers. This has definitely affected my prayers. I’ve been praying small lately. And with hesitancy. So why pray at all? Because beautiful things are still happening. Because the Bible is still true. Because the story isn’t over yet. George Bailey’s story is far from over. The opening scene of It’s a Wonderful Life tells that story. The life of George Bailey–the wonderful story that George Bailey is living which is affecting hundreds of people–is because people are praying for him. Even George Bailey’s children seeing their dad being so distraught immediately ask if they should start praying for their dad. Because they all desired the supernatural God to do more than what they could do. 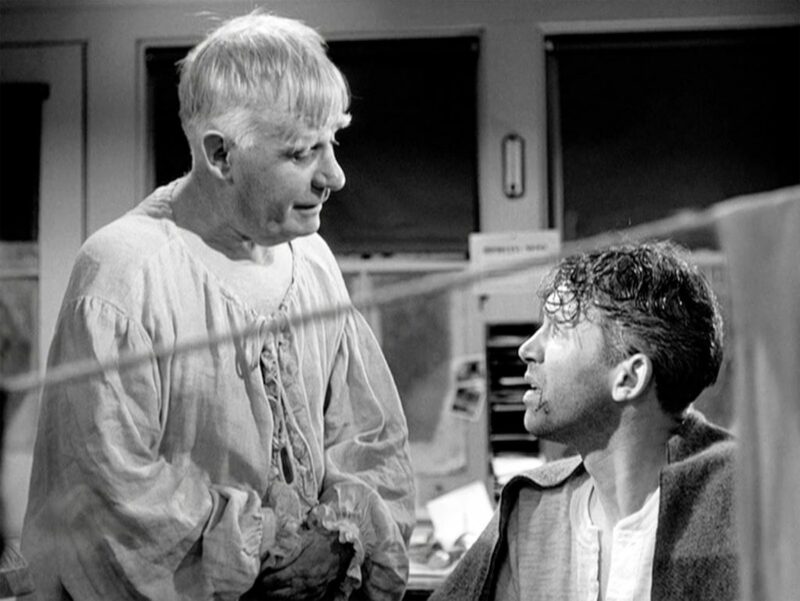 It is Clarence who is the one to tell George Bailey the truth about his life. The lies George Bailey believed is what led him to that decision at the bridge. And it was the prayers that brought Clarence to George Bailey. Prayers caused these beautiful things to happen. Yes, even in a Hollywood movie. 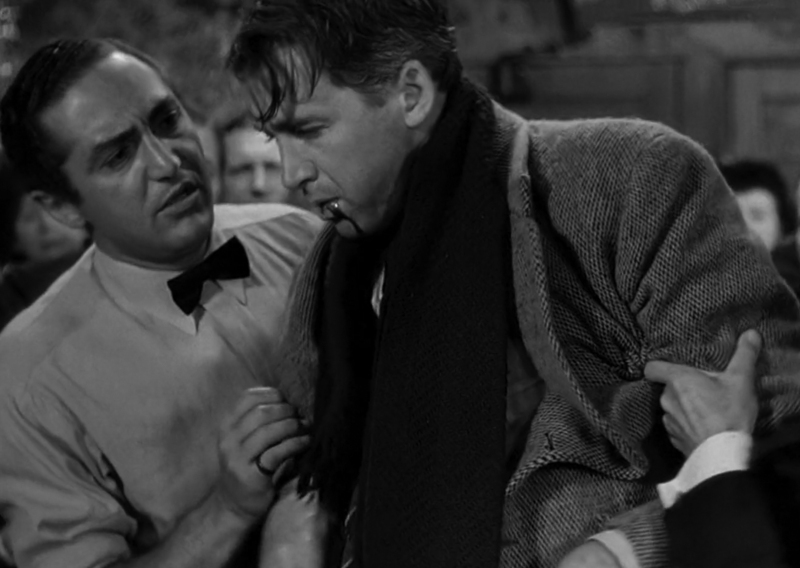 In this scene, at the lowest point in George Bailey’s life, Frank Capra was shooting a long shot of me slumped in despair. As I said those words, I felt the loneliness, the hopelessness of people who had nowhere to turn, and my eyes filled with tears. I broke down sobbing. This was not planned at all, but the power of that prayer, the realization that our Father in heaven is there to help the hopeless, had reduced me to tears. Frank, who loved spontaneity in his films, was ecstatic. He wanted a close-up of me saying that prayer, but was sensitive enough to know that my breaking down was real and that repeating it in another take was unlikely. But Frank got his close-up. Source. Vulnerability is the necessity of both. These questions make me uncomfortable. I’d rather have clearly understood parameters to help me understand this supernatural God. Yet God consistently has shown up bigger than my parameters. So I trust the Promiser while I tend to the bloody lips of my teachers and continue to pray. I am waiting for this story to change and to know of the beautiful things which I expect to happen. God is not against me, he is for me. Romans 8:31. 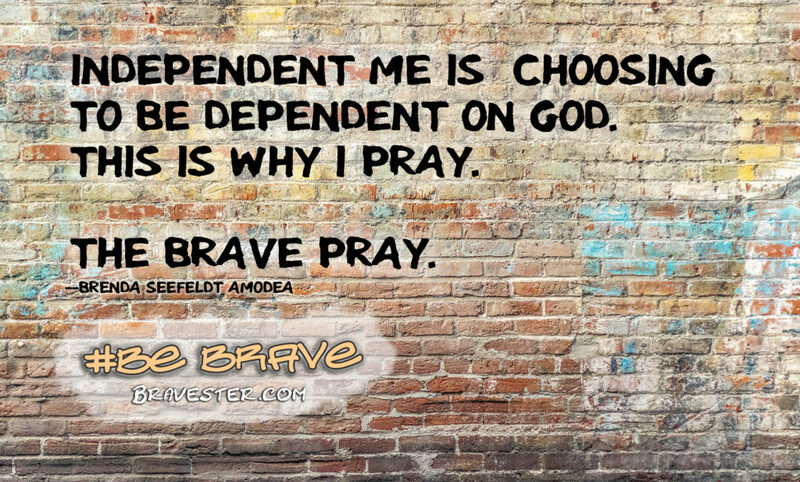 I keep repeating this truth so I can pray bolder again.